I remember attending the runway show in Venice, CA last year for Tommy’s spring collection and loving all the colors, prints and silhouettes offered. A timeless and classic brand, Tommy Hilfiger has some great pieces for plus sizes this Spring designed specifically for Macy’s. First up, let’s talk about preppy, pretty fabric taking over fashion right now – gingham! 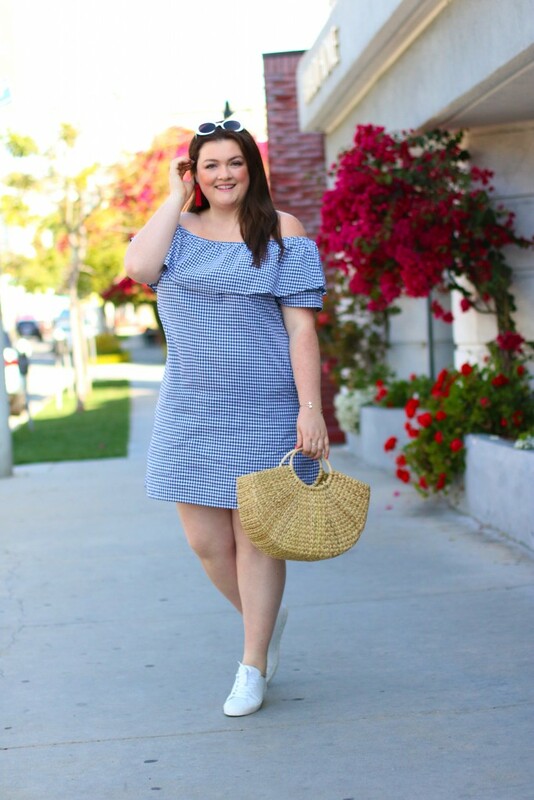 Gingham is one of my favorite go-to’s for Spring and when I saw this off the shoulder dress, I knew I had to make it mine. This fresh patterned navy and white gingham dress is a fun twist on the classic off the shoulder style with ruffles on the neckline. I paired it with these cute Tommy Hilfiger tennis shoes and added a straw handbag for beachier vibes. I plan to wear this dress to the beach or brunch with the girls. For cooler days or more coverage, a denim jacket pairs perfectly to complete the look. 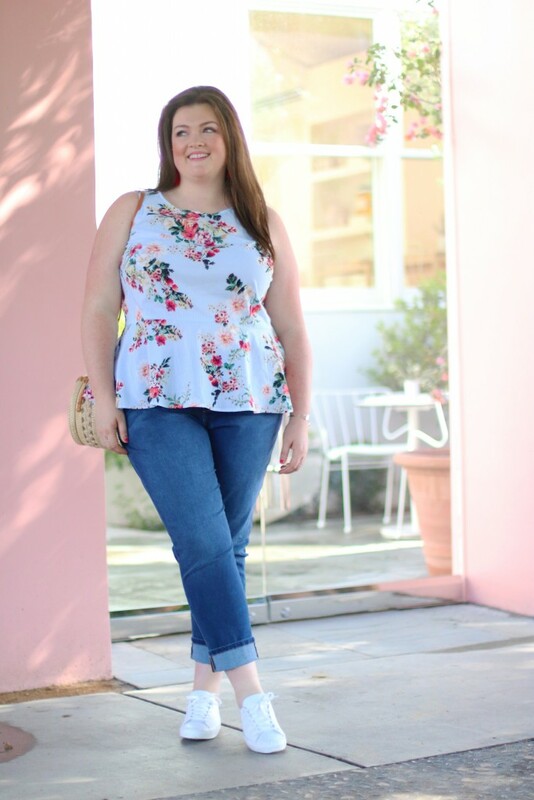 Next up, florals for Spring, not necessarily groundbreaking BUT florals are definitely a necessity and it just wouldn’t be Spring fashion without them! I loved Tommy’s take on this sleeveless floral peplum top which gave me almost nautical vibes with its light stripe undertones. 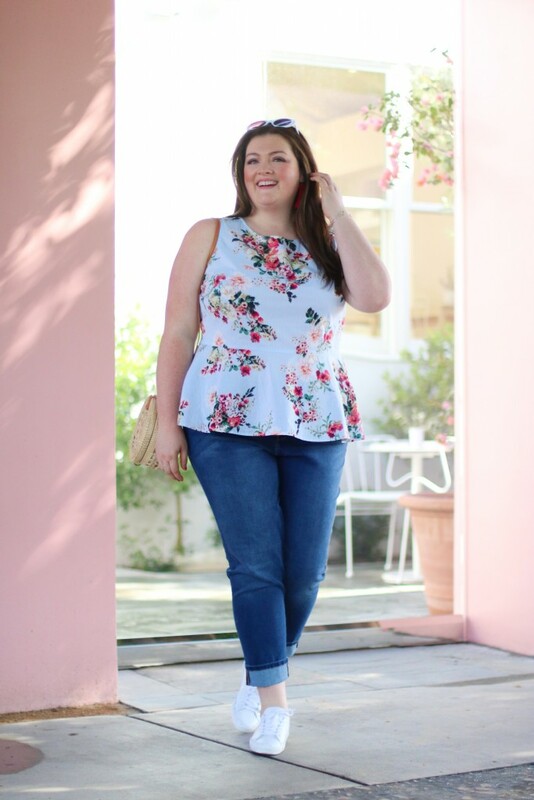 I opted to wear this cute peplum top with cropped denim pants, the other ultimate sign of Spring. These denim pants are super comfy with tons of stretch but they wore nicely and maintained their shape. I styled my look with my cute white tennis shoes for running around that day. Let me know what you love and if you’re ready to test out some of the season’s inspired trends – you can find them at Macy’s! Such a beautiful outfits. I really liked the way you post. With this blog you really took our attention to the outfits that we never thought about. Thanks for the post. 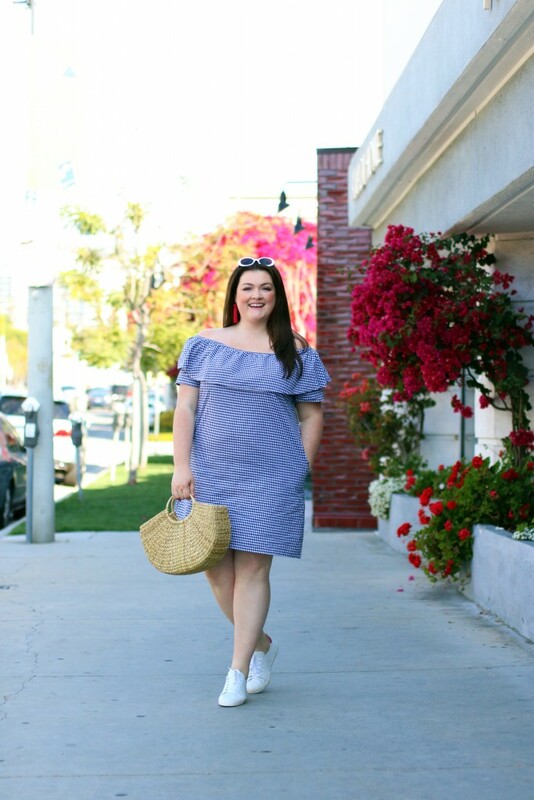 Amazing spring pieces, you seem so fashionable I loved everything in this post. My personal favorite is your straw bag, these types are a big trend this season! I would style it with an ”all denim” type of an outfit. Thanks Victoria! I loooove straw bags too. Can’t get enough of them.